Jan 7, 2017: Henry Red Cloud knelt down on the snow-packed ground at the Standing Rock Reservation in Cannon Ball, North Dakota. He didn’t seem to mind the frigid cold as he used his bare hands to secure an outlet to a solar air heater, one of 11 he installed one December day at the Oceti Sakowin Camp to help protectors there stay warm as temperatures dipped below zero. 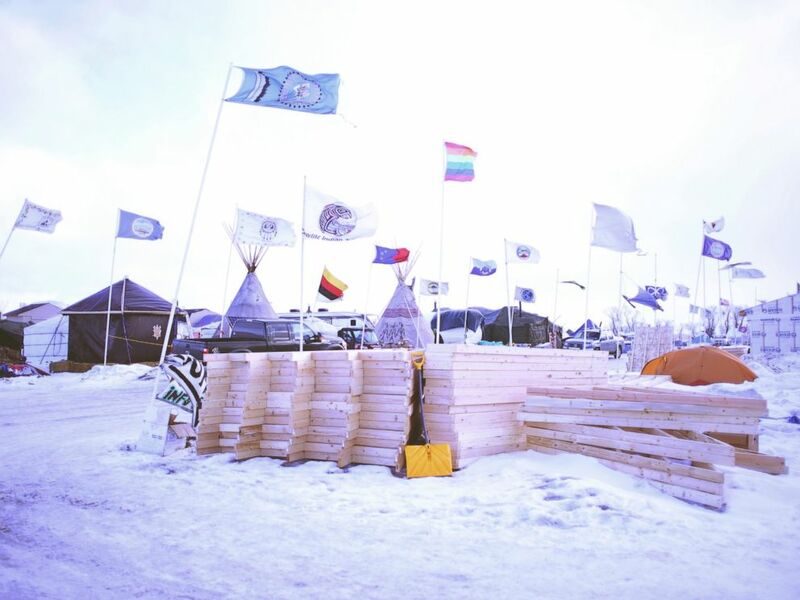 Many have left since the Army’s announcement, but hundreds still remain and have erected teepees, tents and other kinds of shelters to keep warm this winter atop the frozen, snow-covered ground. 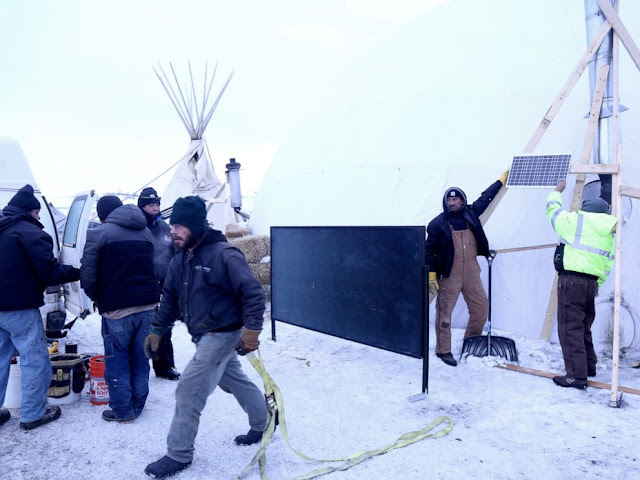 ABC News photographed Red Cloud’s fifth return visit to the camp where he continued installing various systems providing heat, light and electricity from renewable energy sources, including solar and wind. 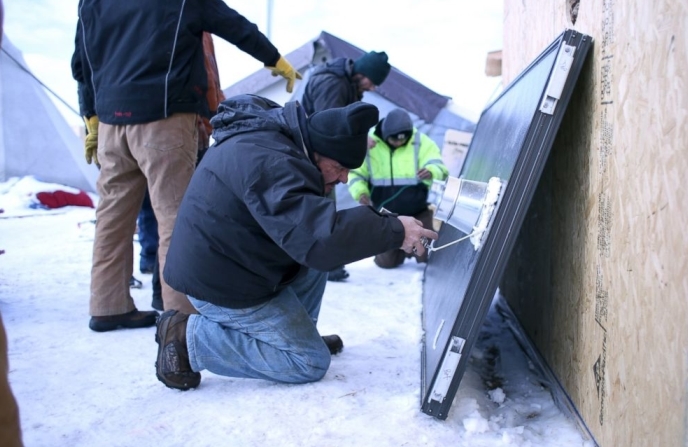 The founder and owner of Lakota Solar Enterprises, a Native American-owned and operated renewable energy firm in South Dakota, also trained hundreds of protesters on how to install the systems themselves so they can live sustainably and embrace green technology. 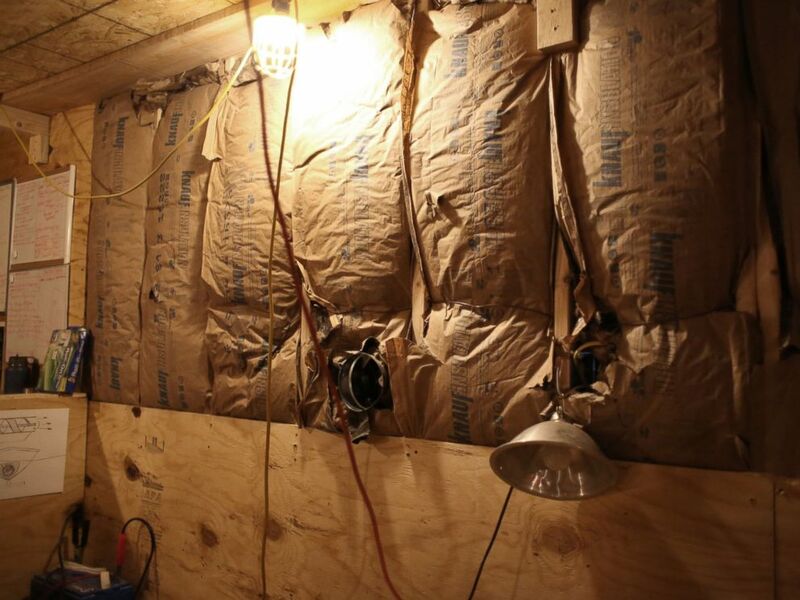 Red Cloud, a member of the Oglala Lakota Tribe on the Pine Ridge Reservation in South Dakota, said he took an interest in renewable energy in hopes of helping Native American communities like his own that are suffering from high unemployment, poverty and the effects of climate change. On the vast Pine Ridge Reservation, which spans over 2 million acres, Red Cloud and his partners are also building sustainable homes using natural materials, planting thousands of trees to combat deforestation and are cultivating organic farms with alternative energy sources. Now, the father of 17 and direct descendant of Lakota war chief Red Cloud is bringing these green concepts to the Standing Rock Reservation to empower the tribes fighting the pipeline. Responses to "Lakota Solar Team builds sustainable solar-powered houses at Standing Rock"